I recently spoke at a local house group concerning the Apostolic Reformation that is moving in the earth. One of the reforms taking place concerns church. Church, as Apostle André Pelser puts it, is God’s plan A and there is no plan B. This was something I was going to touch on with the group. Before the meeting and as a test of people’s understanding I did an experiment with someone I was working with that day and asked her to draw church. She drew a building. I am sure many people would have done the same. At the house group I used this as an illustration of what I felt most people would do if asked to draw church. Most Christians know that church is people not buildings but we have been so conditioned in our thinking to consider the building where church meets rather than people. This mindset leads to false ideas and notions and what church should be doing and also raises false expectations of what to expect. The word translated church in the Bible is the word ecclesia. It literally means called out. A building can’t be ‘called out’ but people can be. Church is a community of believers called out to a way of living that produces a Body that Christ is the head of. Jesus wasn’t saying He was homeless. We read of places He stayed and people who accommodated Him. He was prophetically stating that He needed a Body, somewhere He could be Head of. What kind of things characterise Church? What is my family’s experience of Church? My family relates to an apostle and receive his counsel and input into our lives. He is not above us on a pedestal but alongside us mutually submitting to us as we do to him. An apostle is a foundation layer and we receive him as an apostle and as a reward we see foundations laid in our lives. We are baptised believers. Hebrews tells us that part of the foundation we build on are doctrines about baptisms. Baptism in water, in the Holy Spirit and fire. We have all obeyed the command to be baptised and sought and received the baptism of the Holy Spirit and have experienced the fire of God in our home. Baptism is not something we can say no to. It is not an optional extra. We should be baptised. True salvation is about following Christ as a disciple. A disciple does what His Master asks of him. Its not a pastor we disobey if we refuse to be baptised but the One we say we are serving. Our family meals are part of our daily fellowship. My work pattern made it difficult for me to eat with the family. I began to realise that problems we were experiencing were partly due to the fact we rarely ate together. Our table has become a place of communion and fellowship as a family. Its where we pray together and study God’s word together. The word fellowship is from a word meaning ‘sharing your lives physically, mentally and spiritually’. Its not just being in the same house but being together on every level. What we as an imperfect family are finding is Church. We experience Christ together. We pray for each other, prophecy to each other and encourage each other. Is this the same for corporate Church? Can that really be the same in a building we meet in as Church on a Sunday. It has to be because that is Church. A place where we discover God in each other and part of the community we become. I would dare to say if we don’t have that we are not Church but an institution. If all we do when we gather is sing, watch the performance on stage, become part of the committee or team that runs things and put our money on to the plate then we might as well be a Working Men’s club, because that’s what they do. God is reforming His Church. Its not new but has always gone on. Sad thing is we tend to allow God to reform then when we think we see what He’s doing we make a denomination out of it. God is not about denominations but a Body. Its interesting to see in the Early Church people were added, 3000 on the Day Of Pentecost alone. Acts 2 the last few verses says they ‘continued daily’ and ‘the Lord added to the Church daily’. God did it. All by God using ‘uneducated men and women’. What about the large churches we see in some places? There is a new phenomenon these days. The mega church, some have tens of thousands attending. Are they really being church? I can’t judge but if the characteristics that I describe from Acts 2 don’t exist then they are not Church. I read a statistic concerning one of the mega churches in the US. The majority of people coming to Christ in this church (I think they said 80%) after five years they are either in another church or not going anywhere. The reason given was that they didn’t feel they were doing anything for God, just making up the numbers. Everyone has a function, part to play. We grow and mature in a true Body. We know our function and place and we are doers of the word not just hearers. We see God work in our midst with signs and wonders. God’s plan is Church. The Body of Christ is the answer. Not revival or a special outpouring, they come for a time but the Body Of Christ, His church, is here forever. True Church is Christ’s Body and so reflects Him. There’s no room for big names and great reputations. You can build churches on personality and growth systems but eventually the personality moves on and the grown system fails. There’s only One true Church builder. Does what you have as Church shake the gates of hell or put all its effort into surviving and keeping its identity. Is God adding to it? Are signs and wonders evident? Do the members operate in their function to edify the whole Body? God is reforming His Church. The current reform of His Church is adding back fivefold gifts of Apostles, Prophets, Evangelists, Teachers and Pastors so that the members can operate in their function accurately. In the house group meeting I drew a diagram of a pyramid to illustrate the structure of most churches and why people don’t find function. I named it as old. I had wrongly concluded that this type of church didn’t work. 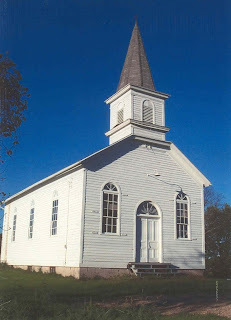 Someone corrected me saying that people still get saved in this type of church. That’s true so I stand corrected. However, I could drive a model Ford T if I had a working example but I’d rather drive my four year old Mondeo with the safety features and sophistication it brings. I could use a Hoover from the 1920’s but I’d prefer a modern Dyson. God is moving His Church on, you either allow reform or stand still and operate in old technology. Don’t let sentimental attachment to a concept or social group rob you of the excitement of what God is doing with His Church. I want to see His Church prevailing against the gates of hell. How about you?